Are Rented Self Drive Cars in Leh Ladakh Banned Now? Yes, the news is true that rented Self Drive cars in Leh – Ladakh are FORCIBLY banned now by Ladakh taxi union. Over the past few days, there have been several reports put up on various social media platforms and online travel forums/communities. Further, a lot of panics has been created in the last week regarding traveling to Ladakh and travelers are now reconsidering their plans. I would like to summarize the issues for you after going through all the sad incidents and also talking to various local people in Ladakh spanning from taxi guys to travel agents to hotel guys. What is the Ladakh Taxi Union Rule for Self Drive Vehicles? Why are rented self-drive cars not allowed in Leh Ladakh? What about cars getting smashed by union guys? 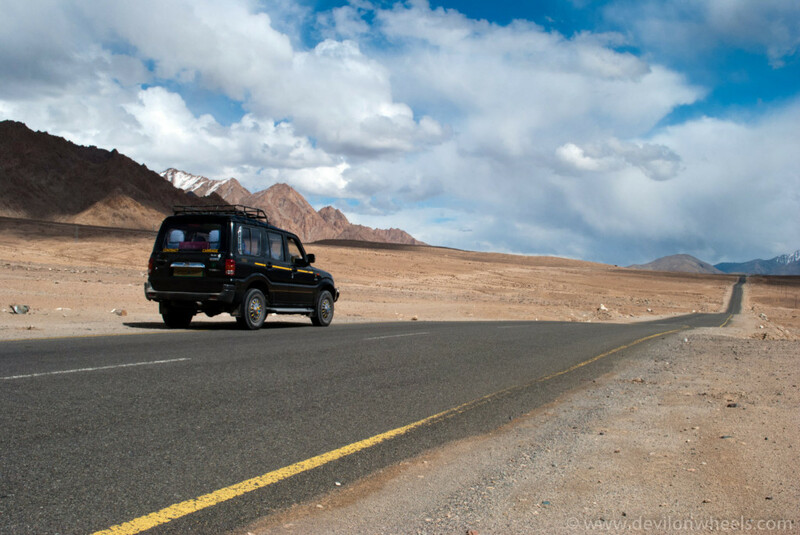 Should I carry a NOC if taking relative car to Ladakh? Should I travel to Leh Ladakh in big car convoys? After all these discussions and incidents, we still strongly feel that as long as you’re following the taxi union forced rules, nothing will spoil your high altitude dream trip to Ladakh. It all began in June 2015 when the Ladakh Taxi Union reached their own (non-approved by administration, please read) resolution that the tourism potential of Ladakh is being exploited by use of malpractices such as privately hired vehicles (white number plate), self-drive vehicles (black number plate vehicles) and motorbikes for commercial use in Ladakh. The resolution can be found below. Do check these tips on self drive to Leh Ladakh. Soon after the resolution, there were isolated incidents of blocking hired self-drive cars and bikes in Ladakh and forcing its occupants to hire a local vehicle to do sightseeing within Ladakh. In some cases, tires were deflated, people were surrounded. You can even read the advisory issued by Zoomcar themselves to all their customers below as well. This clearly says, that Zoomcar also knows about the taxi union forced rule and advice taking rented cars for sightseeing in Ladakh thereby. The law is legal or illegal, as of now it does not matter unless you want to go and fight it out in court which I feel a similar case is being fought in Jammu High court against the ban of outside rented bikes not allowed in Ladakh for sightseeing since last year. But, yes this forced up issue or rule has been around now and also appears that will continue too. So, all fellow travelers must have a caution that they are panics with this forced non-approved rule by taxi union. However, in the past week, we have learned of a couple of very sad incidents where people from the local taxi union have attacked self-drive rental cars breaking their windshields, piercing body armor with metal rods and injuring occupants in the process 😥 :cry:… The height of insanity we feel of this forced upon rule. From its discussions with sources and drivers in Ladakh, DoW has learned that in addition to the attacks, tourists with private vehicles (white number plates) are also asked to prove that the vehicle belongs to them and isn’t hired. For example, it has been asked of the tourists that the person mentioned on the registration certificate of the vehicle should be present in the vehicle or if the vehicle belongs to a relative (father, mother, husband, wife), it has been asked to prove it using other documents like driving license, or so. The idea being, privately hired vehicles are also being confronted to control the malpractices of renting cars from outside Leh. But this might be a temporary phase for self-drive cars with white number plates and in case you are in your own vehicle or someone with you, NOTHING TO WORRY AT ALL. In view of the above, DoW would like to issue a strict advisory to all its members/readers to avoid using services of any self-drive rental company for sightseeing within Leh – Ladakh to Pangong Tso, Nubra Valley, and Tso Moriri Lake. You can freely use such rental services to get into Leh and get out of Leh without any issues. Till the time matter is not resolved or confronted, please stick to the rule to avoid any hassles. Do not forget to carry these important things for any self-drive trip to Leh Ladakh. While carrying your own can or car of some relative, please carry sufficient documents to prove ownership of your private vehicle to avoid any trouble at all. If the vehicle is not in your name, consider migrating the RC or at the very least, get an affidavit executed from the owner to prove that the vehicle is a private vehicle and isn’t used for commercial purposes. However, we cannot assure if the local taxi union will accept such an affidavit or not. Just a thought on mitigating the risk, in case arise when the car does not belong to you and not a rented self-drive car. DoW also suggests that every traveler should carry a copy of the resolution of the taxi union which mentions that “non-local vehicles will only be allowed to drive on the highways from Srinagar and Manali to Leh and fro”. This will help you to avoid a confrontation with the taxi union if you’re driving to Leh since you are allowed to park your vehicle in Leh and hire a local vehicle thereon. DoW also suggests to an extent possible, avoid traveling in big convoy and rather go solo or in a small group of 3-4 cars at most for this season to avoid any issues of confrontation as well. Also, avoid traveling by anyone who is using a hired self-drive car as you might find yourself in the line of fire and end up being under collateral damage. Beyond what is discussed above, we do not believe there is any reason to panic or reconsider your dream trip to Ladakh. Until a resolution on the above activities is reached, please follow the taxi union forced upon rules to avoid hassles. However, shall a confrontation still occur, DoW recommends exercising restraint and resolving the matters amicably, offering to drive the vehicle to Leh, parking it there and hiring a local vehicle thereon? In order to keep you updated on this sad unapproved taxi union forced rule, we have started the entire thread in DoW Community on this taxi union forced rule of self-drive cars in Ladakh and other updates where you can find the incidents which happened over last few weeks and reported online. 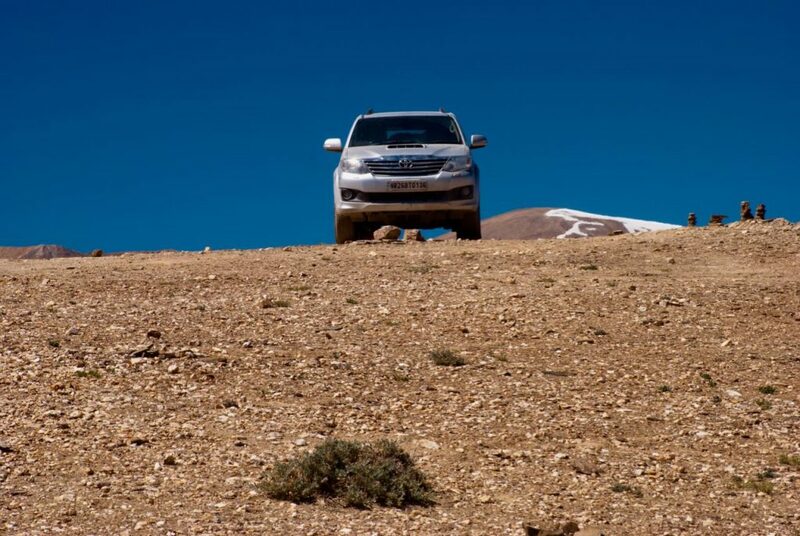 The link to the community thread is: Self drive cars in Ladakh – status & updates. Feel free to post your experiences as well once you are back from your Leh – Ladakh trip to help other fellow travelers in dilemma too. Q. Are self-drive rental cars allowed in Leh Ladakh trip? Self-drive rented cars outside Leh Ladakh are not allowed to do any sightseeing within Ladakh including places like Nubra Valley, Pangong Tso, and Tso Moriri. You can use these outside rented self-drive cars to reach Leh over Srinagar Leh Road or Manali Leh Highway only. 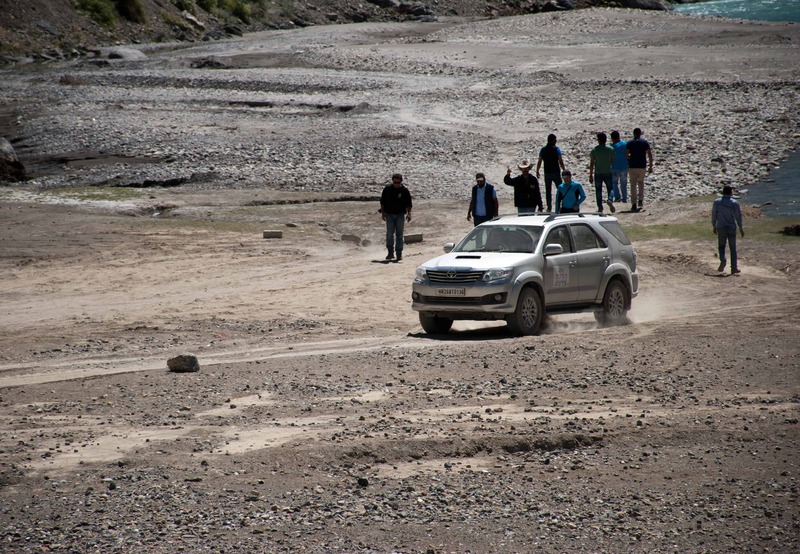 However, further sightseeing within Ladakh is not allowed on the self-drive rental cars. Q. Can I get a self-drive rental car in Leh Ladakh? Q. Can I get a self-drive rental car in Manali? Q. Can I get a self-drive rental car in Srinagar? Q. Where can I get a self-drive rental car for a Leh Ladakh trip? Q. Can I take my own private or personal car to Ladakh? Q. Can I take someone’s else private or personal car to Ladakh? EDIT: Headline Updated. Also, we DO UNDERSTAND that the livelihood of the people up there in Leh – Ladakh does depend upon the tourism and having self-rented cars from outside Leh, maybe 50-60 cars at a time in Leh is affecting the lives and earnings of 50-60 drivers and their families while benefiting the people outside Leh in commercial terms, however, we strongly condemn such acts by Taxi Union of hurting the tourists or travelers for such forced upon rules by them and not getting to the situation in the same way. Happy traveling to Leh – Ladakh guys and gals 😉 !! PS: Really sorry for not writing on a frequent basis for last few weeks, but now I am back from Sach Pass trip and other things are also sorted, you will get a post every Monday morning as it used to happen weekly earlier, starting with Sach Pass only ;). We are planning to take zoomcar from delhi via srinagar, leh, and back by manali. Is it safe. Is zoomcar allowed inside leh. we can take a bike/taxi for our inside leh visits. Whats your advice. Is it possible to hire a car in Chandigarh and rive down toLeh via Manali? And drop off the car in Leh? No Satish, there is no such service available that let you drop off the car in Leh. Also, you need to rent a taxi only for Ladakh sightseeing as local taxis are only allowed to do it. Just wanted to know whether white plate self owned vehicles are allowed and have access to all the points around leh and ladakh.. Yes Shirish, the white number plate mostly won’t have any issues. However, 100% assurance will only be there if the vehicle is registered under the name or relative name of someone present in the car. There is no need to worry about taxi union issues. Car is private and in your father’s name which you can always prove by showing the DL. So, no issue at all. You can check a very balanced and most common itinerary for Leh – Ladakh followed by many travellers including me at the link here for 13-14 days: Most Common Itinerary for Leh – Ladakh. So there is no mean to hire a taxi from delhi for Leh ??? Or we have to hire a taxi from manali only ? So according to ur artical, personal private car is the best way. I have Chevrolet BEAT . i request you to please share ur experience and suggestion about best stoppage between manali to Leh. wat is the cheap &best option to stay in Leh and Pangong lake, nubra valley and tso moriri lake. I am planning for leh from Kolkata in my own Pajero Sport. I am worried because My car is registered in my company name (white no. Plate) and I am director of company. Bharat, in such a case it shall be fine. You will be able to prove the relationship being the director. Hi dheeraj, Narendra here. As a Traveller its really bad that they are illegally & forcefully doing all dis. I really want to take some concrete action on it so dat other fellow travellers enjoy hassle free Leh – Ladakh trip. If we are paying all commercial taxes for a particular state then no1 has right to stop ur vehichle & if u have private vehicle wid all documents no1 need to proof anything to any civil person. If any such incidents are still going on then its a responsibility of local administration ( DM) along with Law Ministry of India to take suitable legal action against such taxi union. Forward me some brief details at [email protected] along with your contact details. Just wanted to know whether these issues occur with people who rent bikes from Manali and take upto Leh Ladakh . Are there any restrictions on bike rental also as if toady. Dheeraj, Thank you for all the help you provide to people traveling in & around Leh. I have a question. If we have a zoomcar & returning from Leh to Manali, can we take our car to TSO Moriri via TSO kar & stay for a night there before reaching sarchu the next day? Is that allowed? We believe the ban is for Pangong & Nubra. Many a times, the taxi union guys will create hassles over there, so it is better to avoid it. Just want to know how is the situation today . Whether it has improved or not or any local jurisdiction is available to help you out if by bad luck you get stuck in such a situation. Is private vehicle a better option to take with white number plate and how safe are you in your own vehicle. Replied to your other comment. There may not be any help at all in case you get caught up. IN your own vehicle as long as you can prove the vehicle belong to you or to your family, you should be good to go. Rest depends upon your stars on that day in case RC of vehicle does not have either yours or your family name. We’re planning a trip to leh in july this year and plan to take a zoomcar from srinagar to leh, drop the car at leh and again while going back take a zoom car from leh to srinagar. So, please could you help me know if at all there are any drop and pick up points in leh ladakh for zoomcar, because we don’t intend to keep the car with us for the whole trip and as it is its banned to take a self drive car so better drop it at arrival and do the sight seeing in taxi’s. And yes, nice work buddy! And also, we have our tickets back from srinagar only, so we cant take manali-leh highway while going back. There is no point available to drop it. There is no such service that I am aware about.